Investigating Youth Set Fires is a two day class that provides law enforcement and fire investigators the specific tools needed to investigate and identify youth who set fires. It specifically addresses the legal rights of juveniles, interviewing and interrogating techniques for youth of different development levels, and the creation of a case file that can be used to proceed with criminal prosecution or as a referral basis for non-criminal actions. 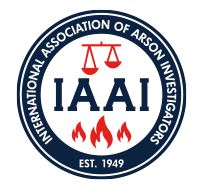 The course reinforces a multi-disciplinary team approach consisting of a fire investigator, a police/arson investigator, a juvenile justice professional and a district or prosecuting attorney. It models the kind of cooperation that is needed to successfully investigate and intervene with a juvenile who is misusing fire or explosives. Hosts for this class must provide a training facility conducive to the size of the class expected, and audio visual equipment that supports class size and a PowerPoint presentation. Students should have a basic working knowledge of fire investigation methodology, as this will not be covered in depth.